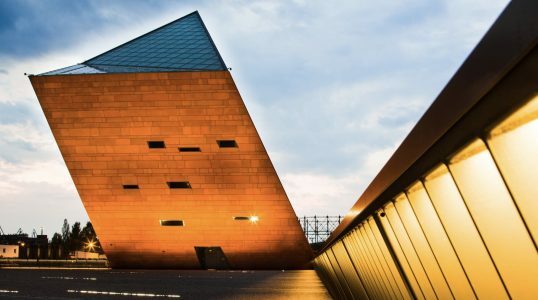 Located in Gdansk, Poland, the museum aims to spread knowledge about the Second World War and honor the memory of its victims and heroes. Known for its modern architectural form, the profound historical museum deals with the divisive and difficult subject of the Polish people's traumatic experience from 1939-1945 and its impact on the country. The museum presents a 5000 square meter permanent exhibition with more than 30,000 items and a 1000 square meter temporary exhibition space; The museum also conducts educational and research activities.